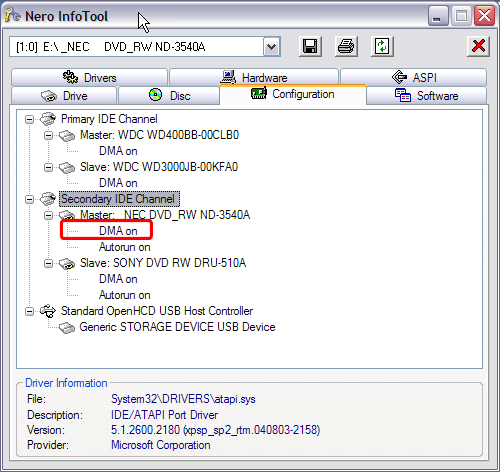 The Nero Info Tool utility retrieves your computer system information. 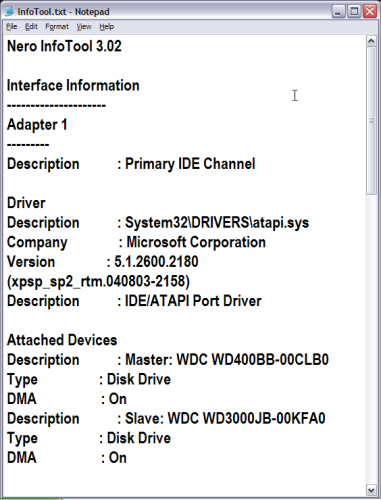 This information includes system drives, operating system, drivers listing, etc. 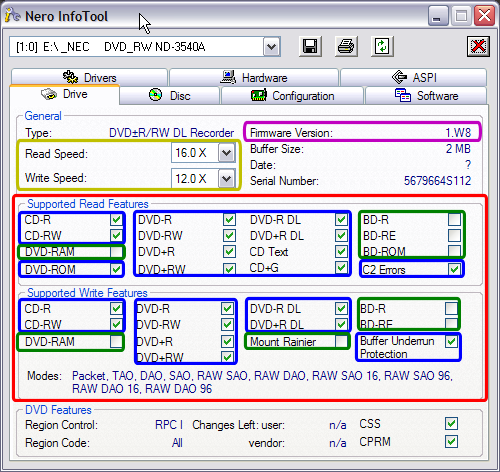 This program analyzes and displays the main characteristics of drives, disks and the installed software. 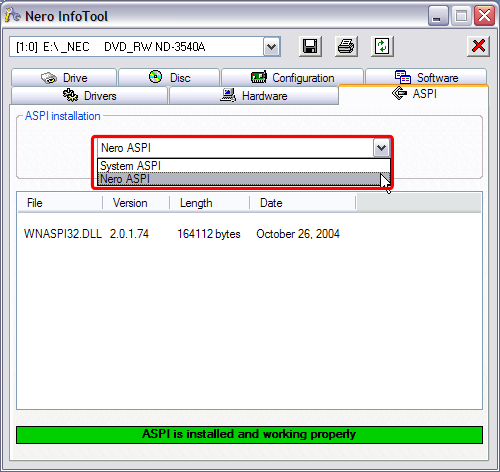 This information can also be printed or saved to a text file. 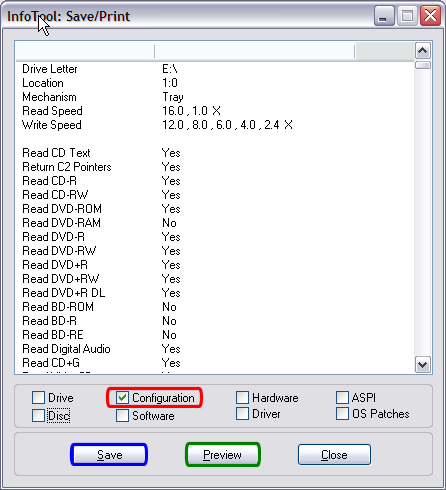 It can analyze and display important information about the media currently in the drive, whether it be a blank DVD or a previously burned DVD. 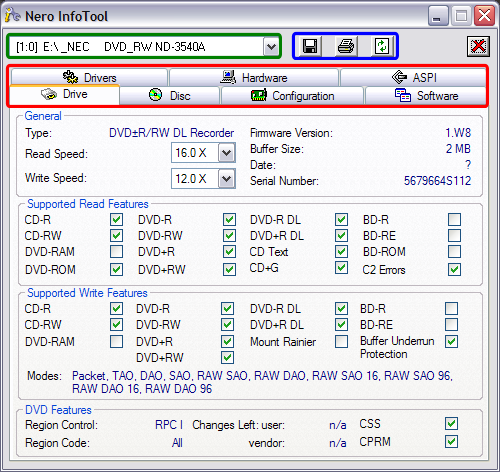 It works for DVD-R, DVD-RW, DVD-R DL, DVD+R, DVD+RW, and DVD+R DL media. It will tell you if its single layer, dual layer, or double layer. It list all the burning speeds that is supports. It also gives the total blank capacity of the disc. It gives you the "Manufacturer ID" (aka Media ID) of the disc so that you can see who actually makes the dye. Furthermore it will list all "video" and "audio" codec you have installed. 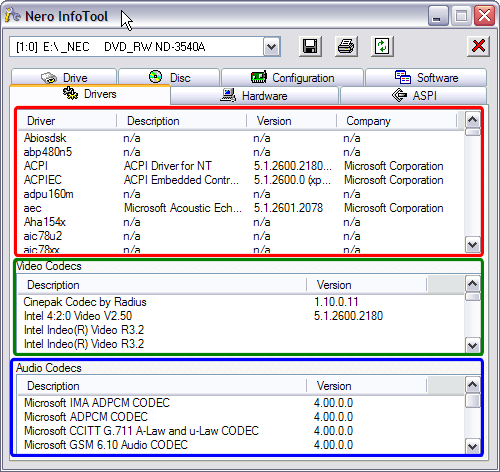 Very handy if you are trying to determine if you have a specific codec installed or not. 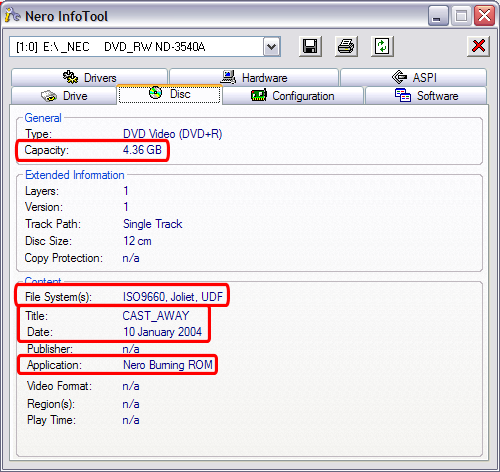 If you have Nero installed on your system, chances of having Nero InfoTool is almost certain. 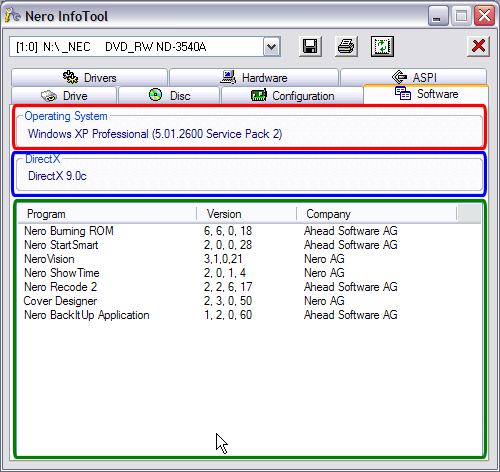 To start it, click "Start", then go to "All Programs" or "Programs", then click "Ahead" or "Nero", then click Nero Toolkit, then click "Nero InfoTool". 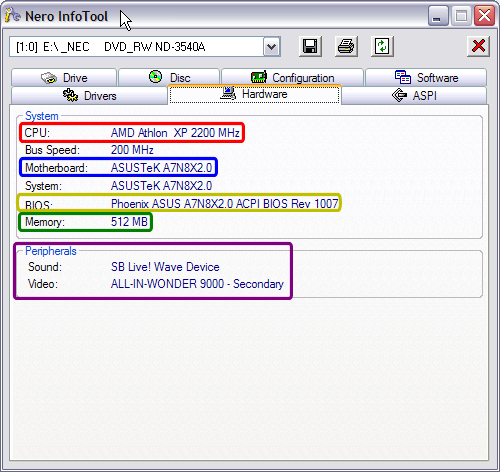 However, the Hardware tab doesn't show the CPU, Bus Speed, Motherboard, System or BIOS. Memory, Sound and Video are listed. It isn't listed in the Save/Print window either. Not sure why yours isn't showing and mine do. How do I post my log? Is there any information areas that I would need to delete? Your log? or do you mean screen shot? Information areas you need to delete??? Perhaps serial number? I've seen other posts where the person leaves out the serial number? No? I would more then happy to post a log. I've got it ready to upload. I found the attachment upload in the Go Advanced section.